Many people supported the Library and donated books over the years. Lord Braybrooke was president of the Society for about fifty years, and after his death his widow, Florence, Lady Braybrooke, presented some two or three hundred volumes to the Library in his memory. Among these are some very fine specimens of early nineteenth-century book-bindings and some high quality art books. 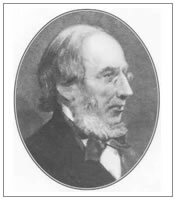 One of the greatest benefactors of the Library was the town's Quaker banker, George Stacey Gibson, and his family. Gibson purchased many books for the library from the Agricultural and Horticultural societies to which he belonged, and on his death in 1883 4,000 of his books were left to the Library, and another 3,000 were given by his family in 1922. Gibson also bequeathed 2 & 4 King Street to the Literary and Scientific Institute. Every year the Town Library Society receives a donation from the Gibson Walden fund that was set up under GS Gibson's will to provide money for five organisations in the town, one of which was the Library. Many of the other members donated books too.